widely hailed around the world as the King of Chardonnay. Wine Writer Clive Coates, has written: “The Domaine des Comtes Lafon is in my view the world’s greatest white wine domaine.” Remarkably, he Domaine also produces Volnay that is every bit as distinguished. As any three-starred Michelin chef will readily admit, the first principal of fine food is the best ingredients. It is just so with fine wine, and it is axiomatic that the finest wines will originate in great vineyards. In this respect, Domaine Lafon is ideally endowed, for their vineyards include only the best parts of the best vineyards. Lafon’s Meursault holdings include plots of Premiers Crus Les Perrières (.77 ha), Les Genevrières (.55 ha), Les Charmes (1.71 ha), and Les Gouttes d’Or (.39 ha), plus the lieux-dits Clos de la Barre (2.12 ha) and Desirée (.45 ha); Meursault villages (1.36 ha); and Volnay Premier Cru Santenots-du-Milieu (3.78 ha). The Domaine also has superb Volnay holdings in the Premiers Crus climats En Champans (.52 ha), Clos des Chênes (.38 ha). In Monthélie, the Domaine produces Monthélie rouge from 1.06 hectares and Monthélie blanc from .15 hectares, both from the Premier Cru climat Les Duresses. The Domaine also produces a small amount of Puligny-Montrachet, Premier Cru, En Champgain (.25 ha). Its iconic Grand Cru Montrachet comes from a .32 hectare parcel within Le Montrachet in Chassagne-Montrachet. When Dominique took over the family vineyards in 1984, at the age of 25, he was already convinced that the technological innovations to winemaking adopted by his father’s generation were a dead end. In fact, Lafon believed that the quality of grapes, in terms of taste especially, was rapidly deteriorating. He formed part of the vanguard of young winemakers that turned to biodynamics and to organic viticulture out of a conviction that naturally balanced soil would ensure healthy vineyards, better tasting fruit, and, most importantly, a truer expression of terroir. 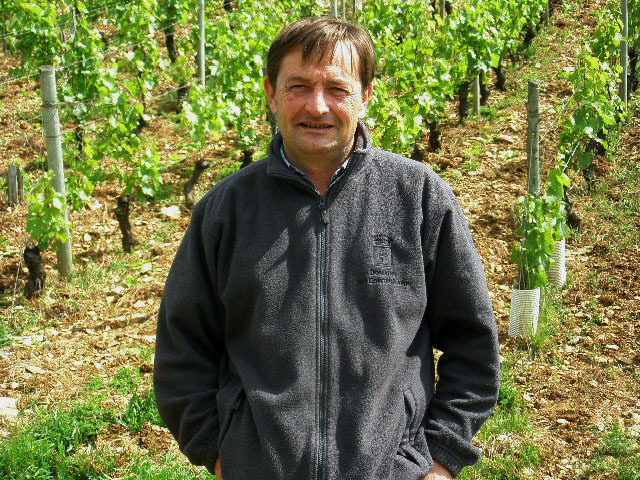 Lafon believes strongly in the virtues of restricted yields, and ploughs his soil to encourage the old vine roots to reach further down into the soil. He contends that ploughing combines with an organic regimen to add natural acidity to the fruit. This acidity, he believes, allows picking at greater ripeness while still in balance. the lees) is employed during the first part of this period, although the frequency of batonnage has decreased over the years. During the spring, the wines are racked into tank and assembled; importantly, the fine lees are retained. 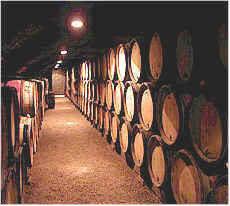 The assembled wine is then gravity-fed into mature casks where the wine ages for an additional 12 months, after which it is racked off the lees. The wines are finally bottled 20-24 months after harvest.